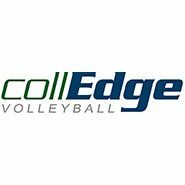 collEdge Volleyball Camps are for student-athletes who are interested in playing at the Division III level. Don’t have time to visit all the schools you’re interested in? Can’t afford to attend multiple camps and tournaments? Our camp offers a cost effective opportunity for student-athletes to receive coaching from a large number of top Division III coaches in two locations – different coaches in each location. Our dynamic camp setting revolves around team competition with full matches in order to give the student-athlete plenty of playing time. In addition, our campers and parents learn more about the college admission process from a college Admission officer. Celebrating 8 years as the only volleyball camp for student-athletes & Division III coaches with alumni campers from 34 states!